What is Triphala? What is the best Triphala supplement? What is this related to stress management? What is the connection? What is there? I know that there is a lot of questions, but most importantly people don’t even really know what is Triphala after all? I believe I never ever told you that stress or anxiety is something that is easy to control, to release, to reduce and to manage. It isn’t easy, and I know better than anyone. We live in a world that is full of stressors which cause us to be tensed, stressed and anxious. There are many ways how you can reduce stress, manage stress and too often stress and anxiety are just in our mind. It is important how we react to certain situations. It is essentially what we eat and how we eat. If we have e diet that is full of healthy organic a nutritious food, then mostly is fine and we can manage our stress levels better than if lack minerals and vitamins. Sometimes even if the best diet, we can lack some vitamins, minerals or other elements. Then we can always use vitamin, mineral or herbal supplements that may help us improve our health and be great for our well-being. Triphala (the three fruits) is one of the oldest compounds that is used in the 5000-year tradition of Ayurveda. 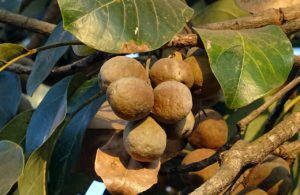 These are three fruits that are native to India: Emblica Officinalis, Terminalia Belerica, Terminal Chebula. It has been used in Ayurvedic medicine for thousands of years for bowel health, digestion, detoxification of the body and immune system’s support. Triphala is potentially effective for several clinical uses such as reduction of hyperacidity, anti-inflammatory, appetite stimulation, and other things. There is a need to have an additional investigation about pharmacological properties and clinical effects of Triphala. What Is The Best Triphala Supplement? Description: This supplement contains Triphala (Emblica Officinalis, Terminalia Belerica, and Terminalia Chebula) that is the cornerstone of herbal therapies in India. Some customers complained that they didn’t see any difference while taking it. Description: This Himalaya USDA organic Triphala supplement is high quality, pure and effective, and Triphala isn’t extracted with harsh solvents. It doesn’t contain artificial tableting glues, Cascara sagrada, Senna or Aloe vitex. This supplement is a gentle, safe and non-habit forming solution for your health and well-being. It is great for detoxification that can be done in a gentle, non-addictive way and it can help your digestive system. Tasted for safety, performance, effectiveness, and stability. Description: This supplement contains organic Triphala fruit comprised of an equal blend of three fruits. It is a traditional, gentle Ayurvedic formula. Certified organic Triphala ensures the purity that is needed for a product that supports cleansing and used for detoxification and healthy digestion. One customer complained that this supplement didn’t help him with digestion and it even made him sick. Now you know what is Triphala if you didn’t know before. Triphala has great health benefits and it helps with stress management. If you have a healthy immune system, you can manage your stress levels better. What is the best Triphala supplement for you? Did you use Triphala supplements before? What do you think about Triphala and its supplements? Let me know below! Are you looking for the best Triphala supplements? CLICK HERE or HERE for more information.